The collections now range from fossils almost 700 million years old to insects and fish caught last week. There are also stone tools made by people 120 000 years ago, traditional clothes from the last century, and T-shirts printed yesterday. The South African Museum (SAM) was established by Lord Charles Somerset in 1825, and reconstituted under a Board of Trustees in 1855. It is the country's second oldest scientific institute, the Royal Observatory having been established five years earlier, in 1820. Today, 175 years later, the SAM enjoys a wide reputation as a leading research and educational institution. Its vast collections of natural history and anthropological objects document all forms of life, living and extinct, from southern Africa, and the material cultural heritage of our indigenous populations back to their earliest origins. The research collections are studied by scientists and students world-wide and new building extensions and facilities have led to a vigorous new public outreach programme, involving a variety of educational activities and new public exhibitions. A modern planetarium offers an opportunity of exploring the mysteries of the universe, and of understanding Planet Earth's humble position in relation to far-away stars and galaxies. 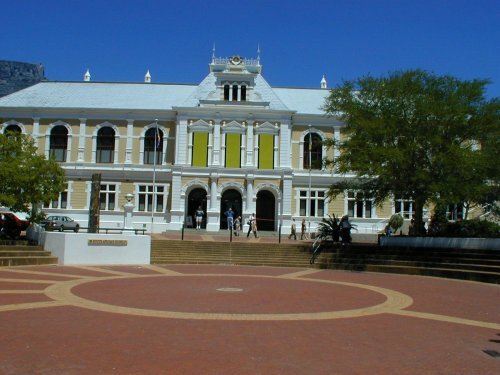 The Museum is visited annually by about 400 000 people, and is one of Cape Town's major tourist attractions. It is funded by an annual grant from the Department of Arts Culture Science and Technology. Research and other projects are supported by grants from the FRD, the CSD, the City of Cape Town and in certain instances, the private sector. The Museum has great potential for public education and inspiration. Natural history surrounds us all. Whether it be marine life at a beach, the shape and structure of a mountain, or the patterns of stars at night - these are things that are there for all to enjoy and understand. The Museum's education programmes are a bridge to increased enjoyment and appreciation of the world around us.